If you're in the market to buy a car you'll more than likely need auto financing. 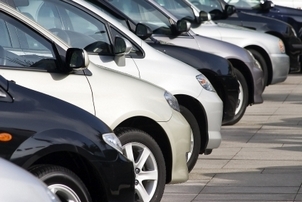 Here are some car finance tips to help you make the right financing choices. When you’re buying a car, there’s two ways to pay for it, with cash or with a loan. Not many people have the cash to pay for a car upfront. Instead, they go through a lender to borrow the money. Auto financing through a lender comes with costs, for example, finance charges that increase the total cost of the car. Since different lenders have different terms, you should pay close attention to the car financing company you go through to purchase your car. Depending on where you purchase your car, you may have several different auto financing options. Some dealerships offer financing. Financing through your car dealer may be more convenient because you can get a loan on late evenings and weekends when banks are closed. However, the interest rates are often higher than other auto financing options. That means, you’ll end up paying more when you finance through a dealership, rather than if you’d gone with a bank. Many people who are unable to qualify for other types of financing opt for dealer financing. You may be able to finance through your bank or credit union. You can often find lower rate financing with a bank, but keep in mind that banks have income and credit history requirements for loan applicants. Some people use home equity loans or second mortgages to pay for their cars. You have to be careful about this option because if you ever fall behind on your payments, you risk losing both your car and your home. Your credit will have the most significant impact not only on your ability to get a loan, but also the amount of the loan you receive. The better your credit, the more likely you’ll get a high loan with a low interest rate. On the other hand, if you have a low credit score, you might get a high interest rate, a low loan amount, or even denied financing. Before you start car shopping, first check your credit report to see if there is any negative information that could prevent you from getting a car loan. Negative information includes things like late payments, collection accounts, foreclosure, or tax liens. You can order a free credit report by visiting www.annualcreditreport.com. Often, you’ll see advertisements from dealers or manufacturers about rebates and interest rate reductions on certain cars. Manufacturers typically offer rebates when they have a large inventory of a car and they’d like to increase sales of that particular model. Interest rate reductions are often offered by dealers and their financing companies to entice you to buy from them rather than other dealers. If you’re choosing between a rebate and an interest rate reduction, the rebate will often result in the lowest price, assuming the interest rate you ultimately receive isn’t much higher than the interest rate the dealer is offering. Typically, low dealer interest rates require you to have a good credit rating. Not only that, you often have to agree to a shorter loan term, i.e. 24 to 48 months. Because the loan term is shorter, your monthly payments are often higher than they would be if you were paying on your loan for a longer period of time. Before you start looking for car financing, you should know what size loan you can afford. First, decide how much you can afford to spend on monthly car financing. Then, decide how many years you will spend paying off your car. Multiply the number of years by 12 to come up with the number of months, e.g. 5 years X 12 is 60 months. Finally, multiply your monthly car financing amount by the number of months to come up with the amount of loan you can afford. For example, $500 per month X 48 months, means you can afford a car that’s around $24,000. It’s always a good idea to shop around for the best car financing company. Since different lenders have different terms and requirements you may be able to get a better loan in one place than another.